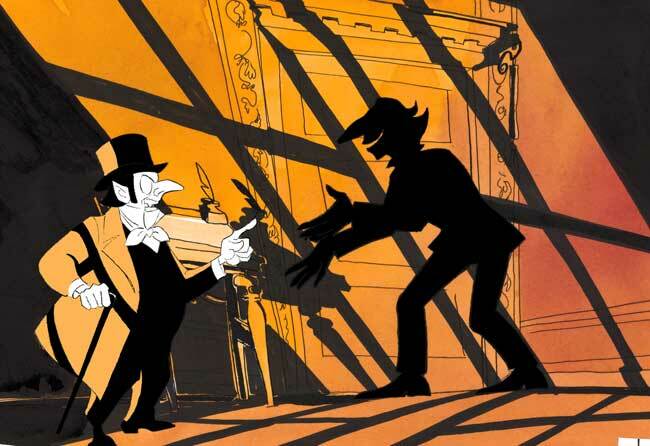 Hans Christian Andersens fairytale “The Shadow” provides together with his diaries the basis for the first animated feature about the poet who had to suffer so much in his struggle for fame. 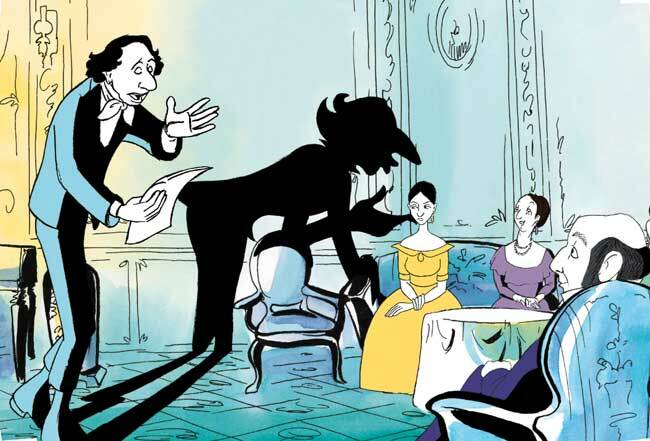 The interplay between Andersen and his unruly shadow contains both humor and drama, and brings us closer to the life of the celebrated writer. 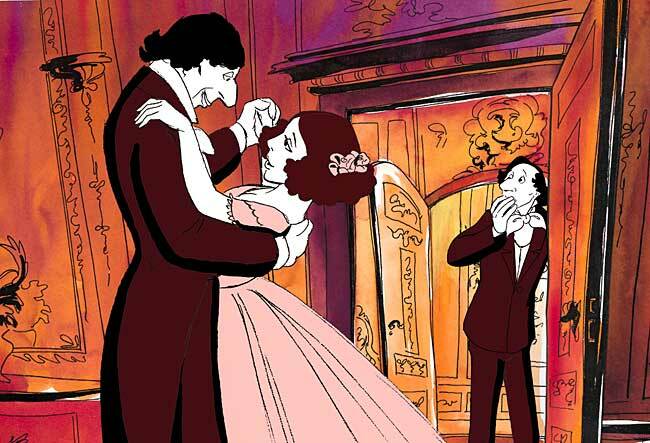 His diaries, frank as they are, leads us behind the familiar facade, and are important rawmaterial in this new fairytale about the man who felt like the ugly duckling that turned into a beatiful swan. Jannik Hastrup and Bent Haller´s work contains all the poetry and magic that makes animated pictures such a special art form. The pure, fluid lines imbue the characters with energi and depth, and the powerful clear colors illuminates the story and develop an intense atmosphere.